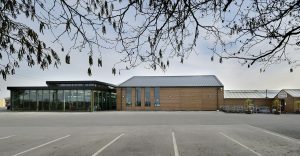 With the HTA Catering Conference having taken place at The Belfry in June, the Malcolm Scott Consultants team are applying the knowledge and insight on a whole raft of topics to future projects. The event, which took place on June 13th and 14th, provided insight from a panel of experts including Professor Charles Spence of Oxford University, Pippa McKean of McKean Consulting, David Yardley of Klondyke Garden Centre and Matt Drew, Head of Food and Beverage for the National Trust. Topics covered during the event included strategy and operations, the challenges faced by businesses of varying sizes, food psychology and the importance of catering for a diverse range of dietary requirements. 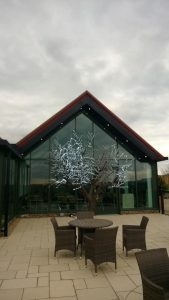 Malcolm Scott Consultants has provided planning and design advice to many garden centres on how to maximise their offering with catering facilities, and is looking forward to gaining additional insight to add value to its advice on future projects. Chris Primett says: “With garden centres increasingly becoming destinations for visitors, there is an increasing requirement for owners to invest in adding to their catering and retail offerings in order to encourage people to spend more time with them. “Important to the catering offer is the design of the facility. 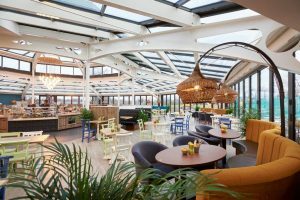 With ever increasing competition from the Food and Beverage operators, it is essential to create a point of difference so that consumers are attracted to the garden centre’s offer. It’s anticipated 3,000 more restaurants will open in the next year, which could mean attracting a further £1.4bn in consumer Food and Beverage outlay per annum. This is serious competition for garden centres. With catering accounting for between 15 and 20 per cent of garden centre trade on average, there is increasing demand from centres to capitalise on the opportunities available, and this year’s HTA Catering Conference proved a valuable source of insight and ideas onto the topic that we can discuss with our clients.